prevention and health promotion; (3) to bring the knowledge and expertise of academic health centers to bear on practical public health problems; (4) to field test and rigorously evaluate more cost-effective methods and strategies for preventing unnecessary illness and promoting good health; and (5) to shorten the time lag between the development of new and proven effective disease prevention and health promotion techniques and their widespread application. 6) to involve the community in the development, conduct, and implementation of prevention research. Each Center dedicates core resources to support a particular research project with a particular emphasis on addressing health disparities. For example, the causes of excess mortality in Harlem, promoting healthy lifestyles in American Indians and focusing on the health of older adults. Many of the research projects are also in specific areas of importance addressing the Healthy People 2010 Objectives. 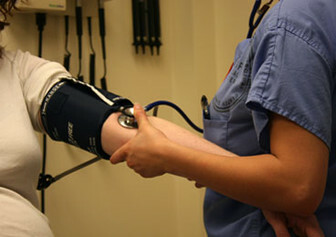 The Prevention Research Centers focus on solutions for underserved communities and promote disease prevention and health promotion strategies among the following population groups: children and youth, older adults and disabled persons; African Americans, Asians, Hispanics, American Indians, and rural populations. A total of 33 centers were funded in fiscal year 2004. It is estimated that in fiscal year 2008 awards will be made to the same 33 centers. Funds are available for costs directly attributed to the performance of research and demonstration projects pertaining to health promotion and disease prevention plus certain indirect costs of the grantee in accordance with established policies of the Public Health Service. Grantees may not award subgrants but may enter into consortia agreements or contracts as necessary to achieve the aims of the program. Eligible applicants are accredited schools of medicine, schools of osteopathy, and schools of public health as defined in Section 701 (4) of Public Health Service Act. Academic health centers, scientist/researchers, operational public health programs, targeted high risk groups, selected demonstration areas, and the general public. Costs will be determined in accordance with HHS Regulations, 45 CFR 74, Subpart Q for nonprofit organizations. To apply for this funding opportunity, use application form PHS 398 (OMB number 0925-0001 rev. 9/2004, Interim revised 4/2006). Forms and instructions are available in an interactive format on the CDC web site, at the following Internet address: www.cdc.gov/od/pgo/forminfo.htm. Submit the signed original and five copies of your application by mail or express delivery service to: Technical Information Management, CDC Procurement and Grants Office, 2920 Brandywine Road, Atlanta, GA 30341. Approved grants are funded based on priority score ranking from a scientific review, as well as availability of funds, secondary review and such other significant factors deemed necessary and appropriate by the agency. Initial award provides funds for the first budget period (usually 12 months) and Notice of Grant Award (Form PHS 5152-1) indicates support recommended for remainder of project period, allocations of Federal funds by budget categories, and special conditions, if any. Public Health Service Act, Section 1706, 42 U.S.C. 300u-5, as amended; Section 2(d), Public Law 98-551. From six to nine months. Applications for renewal will be reviewed in the same manner as new applications and will compete for available funds with other applications. From one to five years (renewable, based on competitive applications and availability of funds). Financial status reports (annual); interim progress (annually); terminal progress report (three months after end of project); and reprints and copies of resulting publications. In accordance with the provisions of OMB Circular No. A-133 (Revised, June 27, 2003), Audits of States, Local Governments, and Non-Profit Organizations, nonfederal entities that expend financial assistance of $500,000 or more in Federal awards will have a single or a program-specific audit conducted for that year. Nonfederal entities that expend less than $500,000 a year in Federal awards are exempt from Federal audit requirements for that year, except as noted in Circular No. A-133. In addition, grants and cooperative agreements are subject to inspection and audits by DHHS and other Federal officials. Financial records, including documents to support entries on accounting records and substantiate charges to each grant, must be kept readily available for review by personnel authorized to examine PHS grant accounts. Records must be maintained for three years after the end of a budget period. If questions still remain, such as those raised as a result of audit, related records should be retained until the matter is completely resolved. (Grants) FY 07 $24,287,000; FY 08 est $24,200,000; and FY 09 est $24,200,000. 42 CFR 52; and basic grant administration policies of DHHS and PHS are also applicable, 45 CFR 74; PHS Grants Policy Statement, DHHS Publication No. (OASH) 94- 50,000, (Rev.) April 1, 1994. Program Contact: Eduardo Simoes, M.D., Director, Prevention Research Center Program, Division of Adult and Community Health, National Center for Chronic Disease Prevention and Health Promotion, Centers for Disease Control and Prevention, Department of Health and Human Services, 4770 Buford Highway, NE., K-45, Atlanta, GA 30341-3724. Telephone: (770) 488-5395. Grants Management Contact: Hector Buitrago, Lead Grants Management Specialist, Team 2, Branch 3, Procurement and Grants Office, Centers for Disease Control and Prevention, Department of Health and Human Services, 2920 Brandywine Road, Room 3000, Mailstop E-09, Atlanta, GA 30341. Telephone: (770) 488-2700. Prevention Research Center applications are reviewed on the basis of scientific/technical merit, with attention given to such matters as: (1) The degree to which the applicant satisfies the essential requirements and possesses other desired characteristics, such as depth, breadth, and scientific merit of the overall application relative to the types of research and demonstration projects proposed; (2) clarity of purpose and overall qualifications, adequacy and appropriateness of personnel to accomplish proposed prevention research projects and demonstration projects, and the nation's health priorities and needs; (3) ability to generalize, translate and disseminate to State or local health departments, boards of education and other appropriate national regional, and local public health agencies and organizations; (4) reasonableness of the proposed budget in relation to the work proposed.